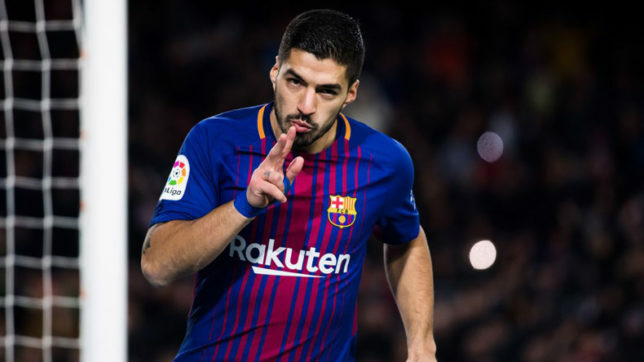 Manchester United face stiff competition from China to prise South American striker Luis Suarez from Barcelona, according to recent reports in Spain. The 32-year-old star has netted 15 La Liga goals in 22 matches this season. Barcelona sit 6 points clear of Santiago Solari’s Real Madrid at the top of the table, with Luis the league’s second-highest scorer behind his teammate Lionel Messi. GOLdigital state that Manchester United are monitoring the Uruguay international forward’s situation at Blaugrana, with Chinese sides also reported to be circling. It is highly unlikely to see Reds’ former No.7 turn out at the Red Devils any time soon. Manchester United’s transfer policy under Ed Woodward has seen the EPL club target stars below the age of 27 – with the exception of Swedish Zlatan Ibrahimovic – to ensure lengthy value for any financial expenditure and there is nothing to suggest Manchester United will make a swoop. Tottenham Hotspur’s central defender, Toby Alderweireld, was considered too expensive, to warrant the £50m quoted by the North London giants last summer. Meanwhile, Philippe Coutinho is understood to retain the faith of the Blaugrana board amid his slump in form this campaign. The Brazil international was connected with a move to Old Trafford in the January transfer market amid his struggles to secure a systematic starting berth under current boss Ernesto Valverde. But ESPN state that while there are concerns as to where exactly Coutinho, formerly of the Reds, fits into the plans at Catalonia, the 26-year-old star will not be sold in the immediate future after his £142m arrival from Anfield in January 2018.